Foundation can work wonders for our skin. It can help disguise acne, age spots, fine lines, wrinkles, and more. It can give us confidence in our appearance, and help us literally put our best face forward when we’re tackling whatever the day has brought our way. But what if you’re falling victim to the foundation cycle? Some foundations can wreak havoc on your skin, and you might not even realize it. Your skin can become red and irritated, and blemishes can pop up. Then you need even more foundation! But there is something you can do to stop this cycle. A non-comedogenic foundation will put an end to the madness and actually improve the condition of your skin. Come explore non-comedogenic makeup with me. You’re sure to be a believer in no time. This foundation is perfect if you enjoy contouring with foundation. It allows the skin’s natural highs and lows to show through, giving you the perfect runway look even if you’re just going to the grocery store. I noticed that this foundation really helped to shrink pores naturally, or at least help disguise them and eliminate excess shine. 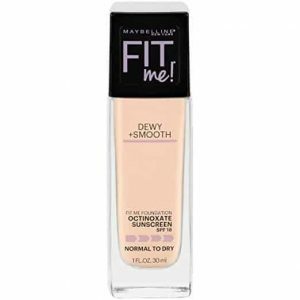 It also helped to cover up a few rough patches that I had on my cheeks and really left behind the dewy smooth finish you hope to achieve with foundation. 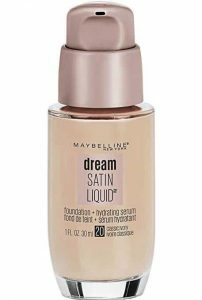 It’s incredibly hydrating and has become one of my favorite foundations. Aveeno has some great foundations, but they really set the bar high with their hypoallergenic and non-comedogenic variation. It’s the best makeup for acne prone skin and concealed even the reddest parts of my skin, leaving behind smooth, even coverage. This foundation is a bit pricey compared to other foundation for acne prone skin, but it’s worth the extra few bucks. When I’m in a hurry and don’t have time to put on a full face of makeup, this is the foundation I reach for. I know that it will give the coverage I need in half the time and prevent damage from the sun with its added SPF. Have you ever used a mousse foundation? If not, you have to try the Maybelline version. It’s a full coverage foundation and lasts up to 16 hours. When I put this foundation on in the morning, I never have to worry about reapplying it before heading out for dinner after work. It’s ideal for normal skin but can also combat excess oil or dry skin. You’ll be blown away by the affordable price, and with so many shades, it’s easy to find your perfect skin match! I even noticed that it seemed to minimize wrinkles around my eyes and mouth. This foundation is a steal. It really exceeded my expectations. I’m usually not a fan of powder foundation, so I wasn’t sure about giving this one a try. I’m sure glad that I did though! It’s incredibly light. Even though I had to touch up a few times throughout the day, it was simple and easy to use. The powder does have a bit of a fragrance, but it didn’t bother me. It didn’t cause my skin to break out at all. The coverage and color were great. I now keep this foundation in my purse for emergencies. It’s saved the day more than once. Every once in a while, I’ll get a blemish that foundation can’t handle. A little concealer makes a big difference when I’m trying to cover it up. Neutrogena offers their non-comedogenic concealer in four different shades, and all of them provide natural-looking coverage that’s perfect for those days where you need a little extra makeup to feel confident. Want to know the best part about this blemish concealer? Not only will it hide your blemish, but it will also help it to go away faster with its blemish-fighting medicine. A clinical test showed that 100% of users experienced improved skin while using this concealer. I have to agree with the study—this concealer definitely made a difference in my complexion, and I would consider it some of the best makeup for acne prone skin. If you have oily skin, give this foundation a try. It’s oil-free and actually absorbs excess oil as it controls shine. It’s dermatologist tested and certified non-comedogenic. This product is one of the more expensive foundations I’ve used, so I usually save it for special occasions. But even with the cost, it really is worth it. I only need a few drops to get the exact coverage I need. This foundation would also be great for contouring. If you need a versatile foundation that will make you feel like you’ve just left a makeup artist’s chair when you wear it, give Nars a try. I was really impressed with the delivery system of this foundation. It comes in a tube with a sponge at the end for easy application. It’s hypoallergenic, fragrance free, oil free, and non-comedogenic. The price is perfect for a daily foundation, and a little goes a long way. The sponge really helps you make the most out of each drop. I always moisturize before I apply foundation, and it seems like this brand plays off of that. I don’t have to wait for my lotion to completely soak in as it seems to work in tandem with this product. I love how smooth and dewy my skin looks when I wear this brand. This is an all day foundation that’s been clinically tested to be non-comedogenic. It’s completely weightless and comes with a precision dropper and professional blending brush to give you professional results at home. I loved how light this foundation was. It felt like I was wearing nothing, and the coverage really did last from morning to night. This is about as easy as foundation gets. I’ve never had a foundation give my skin more of a glow than this brand. The foundation was super airy and really made my skin shine. It was also incredibly soft to the touch and fragrance free. I’ve never had a foundation give my skin more of a glow than this brand. The foundation was super airy and really made my skin shine. It was also incredibly soft to the touch and fragrance free. I love Bare Minerals, so I was really excited when I came across this foundation. It’s ultra-thin and seems to perfect my skin like no other foundation can. It provides seamless coverage with a natural finish that makes it seem like it’s part of my skin. I only need a few drops, so it lasts forever. I also never have to deal with an oil slick down the middle of my face. This foundation keeps my skin looking flawless and healthy, even when I’m not wearing it. Why Can Foundation Be Bad for My Skin? The concept of foundation on its own isn’t really bad for your skin. In fact, a high-quality foundation can actually help protect your skin from sun damage and free radicals. The problem is that most contain some not-so-friendly ingredients that can work against the health of your skin. The other problem is that we don’t always take the right precautions when it comes to wearing makeup. We either don’t apply it correctly or don’t take it off all the way before going to sleep. A combination of these mistakes can be hard for even the best foundation to overcome. What Is Non-Comedogenic Foundation and Makeup? You’ve probably heard of non-comedogenic makeup, but do you know why it’s called that? 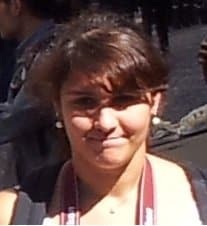 A comedo is a type of pimple. Comedones are the most common type of acne and the least severe. They’re definitely a nuisance, and they’re sure to make us reach for the foundation before heading out the door in the morning. Comedones form when pores become clogged from either excess sebum, dead skin cells, bacteria, or a combination of all three. Comedones can either close at the surface, forming a whitehead, or remain open and be classified as a blackhead. To prevent this type of acne, a non-comedogenic foundation is a must. This type of foundation is typically oil-free and designed to break down excess oils without removing moisture from your skin. Instead of sub-par foundations making your skin more prone to breakouts, non-comedogenic foundations will work with your skin to keep it healthy and acne-free. You should also use hypoallergenic makeup and cleanse your face regularly. Why Is Non-Comedogenic Foundation Better for Sensitive Skin? If your skin is on the more sensitive side, you’re no stranger to rashes, redness, and irritation. But non-comedogenic makeup can help. Because more care and research typically goes into the ingredients in such makeup, you can be sure you’re using a product that doesn’t contain harsh ingredients or ones that you already know your skin doesn’t like. 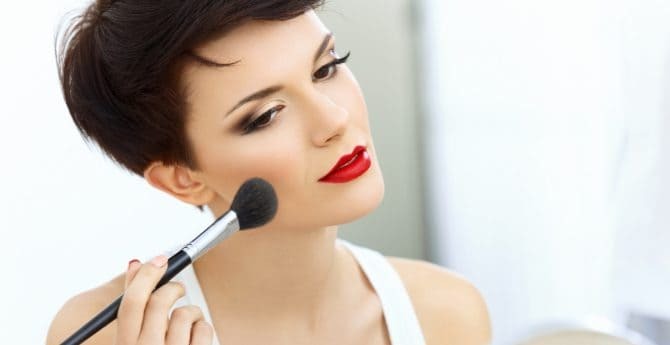 Using a non-comedogenic foundation is your best bet against preventing irritation and sensitivity when wearing makeup. Just because you’ve experienced problems with fthe oundation in the past doesn’t mean you can’t wear it now. What Ingredients in Foundation Cause Clogged Pores? Makeup companies don’t have to list every ingredient used in their product. If it’s considered an incidental ingredient, you might never know it’s in there. Other times, you might have to do quite a bit of research to find the list of included compounds in your favorite makeup. Most women don’t go through the work of finding out what they’re putting on their face, and this can lead to a laundry list of concerns, most of which have very few symptoms. Parabens: Parabens are often added to makeup to inhibit microbial growth and allow the product to last longer. Unfortunately, these are also known to cause allergic reactions and cause irritation in those with sensitive skin. Diazolidinyl Urea: Another preservative, this chemical can cause dermatitis and can even release formaldehyde, a toxic compound. Petrolatum: Though a natural mineral oil, this ingredient can clog your pores and make it difficult for your skin to regulate moisture levels. It’s commonly found in makeup because it’s affordable. Once you really take a look at the ingredients in your makeup and learn how they can negatively affect your health, a non-comedogenic foundation should sound even better. As previously mentioned, there’s a right and a wrong way to apply and remove makeup so that you aren’t clogging your pores or damaging your skin. Here’s a quick guide that will have you a makeup pro in no time. 1. Wash your face with a gentle cleanser and pat dry. Apply non-comedogenic moisturizer and allow it to completely soak in. 2. Apply non-comedogenic primer and non-comedogenic concealer as needed. Using a makeup sponge, apply dabs of foundation on your forehead, nose, chin, and cheeks. 3. Blend in a circular motion with either a foundation brush or sponge. 4. Set your foundation in place with powder. Always make sure that your fingers and makeup sponges or brushes are clean to get the most out of your foundation for acne prone skin. 1. Avoid using products with alcohol or fragrances. Instead, use cold cream to remove the bulk of your makeup. Use your fingertips to rub the cleanser in circular motions over your entire face, taking care to avoid getting it in your eyes. 2. Using a soft washcloth, wipe away the cleanser. The majority of your foundation should come off with this step. 3. Splash your face with cool water to remove any remaining makeup. Pat your skin dry. 4. Apply a moisturizer and an eye cream (preferably non-comedogenic) with fingertips, using circular motions. Avoid pulling on your skin. With the proper makeup and application techniques, you can get the most out of your foundation. Instead of counting on your foundation to cover flaws and blemishes, you’ll be preventing them in the first place. By breaking the foundation cycle, you can allow your foundation to showcase your skin instead of covering it.